As a first outlook on our upcoming content update Cador, we want to give you an outlook on a few new things you will be seeing in there. With the next content update on the horizon, it is time to show some of the things it will do for you, our players. The first thing we want to showcase is an overhaul of the mechanics how your character gets killed in the game. At the moment, you either get knocked down – or killed instantly, depending on the zone you are in and the adversaries you face. Being killed instantly can lead to problems in group play: if one character is killed and respawns in a city, the rest of the group will have an even harder time continuing with what they’re currently doing, or maybe even force them to return home. So, instead of being killed the moment you are running out of hit points, your character will first get knocked down. When you‘re knocked down, you cannot actively do anything – except enjoy the all new knockdown visuals. Your hit points regenerate, very slowly, mind you, and you wait for things to come. If your group is victorious, they can come over and get you back on your feet with a resurrection spell. You can also get back up, if your hit points regenerate to a point where you are back to full health. If your group loses, however, you can expect your attacker to come back and finish you off. Of course, not all mobs take an interest in actually killing you – they are satisfied with knocking you out. And other players... well, who knows what other players will do? Suffice it to say that, if you are knocked down by an enemy player, it will take you longer to get back up than if you were knocked down by a mob; so they have plenty of time to decide what to do with you. This change should make particularly group PvE content more interesting, as the first death of somebody does not disrupt the entire group. For our PvP players, it adds another strategic element: do I finish this guy off now, or do I keep chasing the rest of his group? Can I maybe sneak in a resurrection for this fallen comrade? 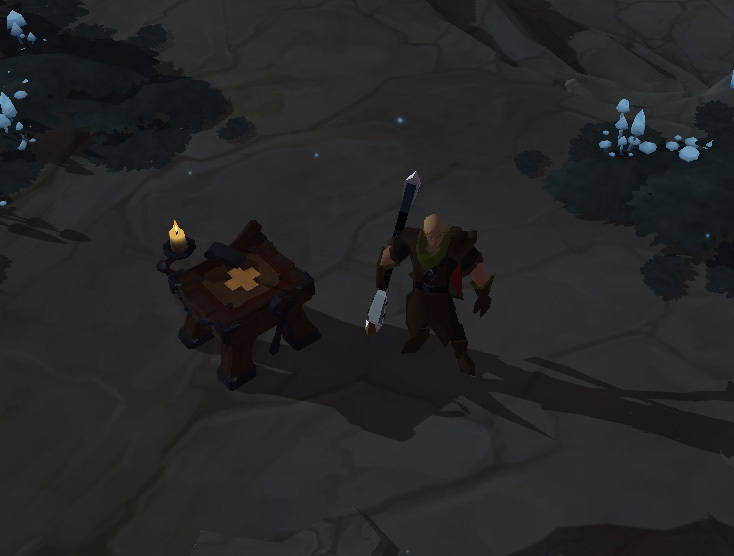 A new item will find its way into the game with the Cador update, called the „Repair Kit“. It is a piece of furniture, coming in Tiers 4 to 8, that you can place in the world and use as a mobile repair station for gear that’s of the same Tier as the Repair Kit. Meaning: to repair Tier 8 gear, you need a Tier 8 Repair Kit. Other actions, such as salvaging or reforging, are not available at this mobile repairing station. The convenience of having this station available practically everywhere of course comes with a few downsides. First of all, repairing at a Repair Kit will cost you more than at a full-fledged repair station. Additionally, the Kit has a limited lifetime – its durability decreases while it is placed. So be quick about your repairing business. A few weeks ago, we implemented a change, after which mobs that are at least Tier 4 will still let you progress, albeit slowly, on higher Tier unlocks. So theoretically, you can now happily stay in the Green Zones and still reach the highest Tiers of progression. Well, eventually, anyways. 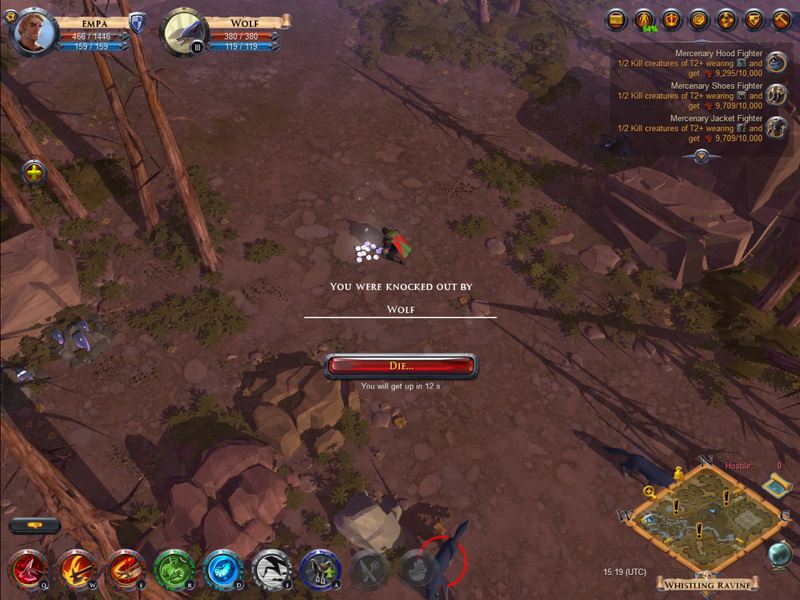 Albion Online is built around the balance of risk versus reward. If you take larger risks, say, travel to the more dangerous zones, you should be rewarded for it. The reward in this case being more fame and loot given out for mob kills. Yellow zones and yellow zone Hellgates will give a bonus of 50% on all fame gains and loot drops. Red and black zones, as well as the respective Hellgates yield a 100% fame and loot bonus. 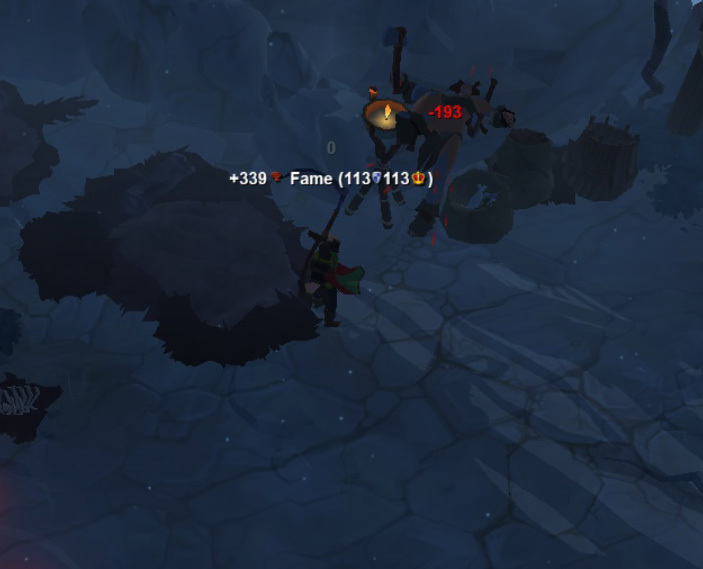 To make this bonus more visible, we have also changed the way loot and fame gain is displayed. You now get the total value first, and in parentheses a detailed view on which bonuses are active. These changes give players an incentive to venture into the more dangerous areas of Albion and roam there. Share your thoughts and feedback on these upcoming changes on our forums.